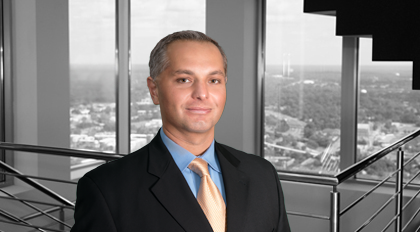 Tony L. Huber serves as Counsel in Moore & Van Allen's Federal & International Taxation group. Huber assists public and private corporations, partnerships, and LLCs on various tax aspects of transactions and corporate governance, including mergers, acquisitions, debt and equity issuances, liquidations, reorganizations, dispositions and distressed/restructuring matters. Clients have ranged from small closely-held businesses and middle market private equity funds, to Fortune 500 and Fortune 50 companies in a wide variety of industries, including manufacturing, telecom, healthcare, pharmaceuticals, franchising, retail, and many others. Huber has performed tax due diligence and rendered tax opinions on some of the largest and most publicized mergers and acquisitions of U.S. and multinational companies in the past several years. His broad background and range of industry knowledge allow him to provide clients with timely and thorough advice surrounding proposed and completed transactions. His capabilities also translate to ongoing and general tax planning, including recurring and one-off events. Before joining Moore & Van Allen, Huber was a manager in the mergers and acquisitions tax division at Ernst & Young.